The basic necessities to go online are web hosting and domain name. This list of best web hosting providers helps you to select the quality hosting services as per your requirements within budget. ICANN accreditation: The registrars should be ICANN (International Corporation for Assigned Names and Numbers) accredited. This organization manages all the domains which you purchased from the company. So, it is obligatory that the registrar should be accredited by ICANN. Reputation: What kind of reputation do they have? Are they a well-known company in general? A scam company not only waste your money but also harm your business/blogging. Therefore it is pretty important to select a company that offers good reputation and creditability. Freebies: Offering freebies is a great way to attract customers. In our opinion, freebies are good but should be valuable because no one wants craps, are you? There are some companies who offer free domain privacy. Domain Transfer: Sometimes due to some reasons like high renewal rates you might want to transfer your domain name to another registrar. So, before choosing any domain selling company must check their transfer fees. Best domain registrars usually don't ask for any fees such as NameCheap and GoDaddy. Security: The registrar should be trustable in terms of security and availability. Check is it trusted by existing users? You can easily find user reviews about any domain registrar. Control Panel: This is one of the most fundamental factors in selecting a domain registrar. An easy to use control panel makes easier to setup the domain and thus saves a lot of your time which you can utilize in other important things. Clear, Smooth and swift control panel is very easy to navigate. Renewal Fees: Online comapnies like web hosting and domain name providers usually offer a big discount for the new customers on their first purchase. And some of them ask more than normal fees at the time of renewal. So, you must verify renewal terms and fees to avoid any higher renewal rates. Some companies solely offer domain names registration but most of the companies offer both domain name and web hosting. The benefits you get when purchasing web products (domain and hosting) from the same provider is that you don’t need to point them (Changing DNS settings) and most of the time you get free domain name with the subscription of hosting plan. Don’t worry pointing the domain with web hosting is not a difficult task. Just ask your registrar to do it for you, they will happily assist you. In our opinion, if money doesn’t matter in your case then subscribing to both services from the same company is fine. But if you want to get rid of higher renewals then purchase a domain name and web hosting from different companies. Because in our experience, web hosting providers demand higher domain names renewal price as well as hosting package. By choosing the company who's basic business is selling domain names, you can save significant money. For instance; to renew your domain name with BlueHost, you have to pay around $15/year but NameCheap demands only $10.69/year. Now, let's talk about the most reliable and best domain name registrars for buying domain names. After a deep analysis and prices comparison as well as features, we come up with the following list of top domain name registrars? Where most of the companies attract their customers with low introductory price, NameCheap also offer some exclusive introductory prices on domain name buying and web hosting plans with cheap renewals. Just at $10.69 you can purchase a .Com domain with 1 year FREE “WhoisGuard” subscription. 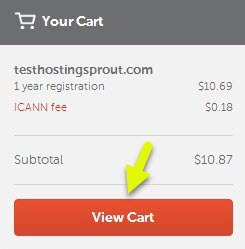 When the domain comes to an expiry, then you can renew it which cost only $10.69. You can also renew the WhoisGuard as low as $2.88. As the hacking cases increasing day by day, it is necessary for every business having online existence to secure their customer’s data using SSL certificate. For this NameCheap offer PositiveSSL certificate in $9.00/year. Along with all these NameCheap also offers web hosting solutions. The most basic hosting plan costs just $9.88/year, where you can host 3 websites. The company has multiple data centers to provide reliable web hosting. You can select either the US datacenter or the UK data center. Not only this, they offer enterprise level hosting servers with SSD hosting solution. Moreover, you can also start your own hosting company by opening a reseller account with them. NameCheap offers technical support services via the common channels like Tickets, emails and Live Chat. And we have no hesitation to say that they are available every time whenever we contact them via Live Chat. You can also find solutions through the huge stock of knowledge base. There is no phone support. Whether you want to purchase the hosting or not, but as per our experience, NameCheap is the best domain name registrar. We recommend it without any doubt​. ​Here is another domain name registrar, who is serving the customers since 1998. Moreover, more than 1 million websites hosted on their servers. In our opinion, they offer substantial hosting services for users who need hosting at very inexpensive rates. Most of the times it is available at abundant discounts which lower down the prices tremendously. iPage is under the management of EIG; the influential business group. So, if you solely want to purchase the domain name, then it will cost $8.99/year. Additionally, If you want to enable the domain privacy, then you have to pay $9.99/year separately. The company offers lots of freebies such as Sitelock, security tools, 1GB cloud hosting storage and site builder etc. $200 advertising credit are also given by the company for free which is great to advertise your newly establish websites on Google and Bing advertising. ​This company was established in 1997 and came up with the name GoDaddy in 1999. With more than 5000 employees and 14+ million customers, you can guess how big and professional are they? GoDaddy known as the largest domain registrar. And yes they are, because about 63million domains are under their management. They offer a vast variety of web products which are related to domains, hosting, emails, security and online marketing, etc. GoDaddy has a very broad variety of domain extensions. The .com domain is available just at $2.99 for the 1st year. And if you want the privacy protection to hide your important information like name, email addresses, physical address and phone number, etc. then you have to pay $7.99/year. When it comes to the renewal, then you may be shocked to see that you have to pay $14.99. It’s higher than NameCheap. For security, they offer SSL certificates, starts from $55.99/year. That’s the really higher than many other companies, you can buy cheap SSL from other hosts. On the other hand, they also offer hosting services starting from $3.99/month. ​BlueHost needs no introduction almost everyone knows their name. It doesn't matter you are a blogger or a developer or you need their services for e-commerce site they satisfy all type of users. They start serving the customers since 2003. Not only recommend by us and the top bloggers , but WordPress.org also recommends it. So, if you want to build a site using WordPress platform, then BlueHost would be a great choice for reliable hosting services. BlueHost offers a free domain name when you buy web hosting from them. So, if you are in search of top domain registrar then, of course, you'll need hosting to go online. Therefore, why to spend an extra penny for registering the domain when you can get a FREE one. So, don't waste the opportunity grab free domain with low cost hosting at one place. The company offers variety of hosting services such as shared, cloud, dedicated, WooCommerce and Managed WordPress, etc​. More than 2 million websites are hosted under their management and increasing day-by-day. You can host 1 website and store upto 50GB data, and 5 email accounts by purchasing basic plan. They offer cPanel for management which is industry traditional software to manage your hosting account. If you can afford, try to select “Plus” plan which is well-featured package and allow unlimited sites. The plan also includes unlimited storage, bandwidth, emails accounts, and free $200 search engine credits​. ​InMotion is one of the great hosting providers due to their outstanding support services and feature rich plans. You often see that most of the hosting companies provide live chat, phone, tickets, and emails to assist their customer. But InMotion committed team goes ahead and maintain a Skype line. Whichever the channel you want to use they are available round-the-clock. You can also learn on your own by searching the information from the knowledgebase maintained on their website. A wide array of hosting options also offer by the company. InMotion hosting plans are frequently available on discounts and using our EXCLUSIVE link you can save upto 43% Off on Business plan. Another impressive feature is the safe roll back. If the newer version of application did not respond adequately and showed unstable behavior, then this feature enable you to shift back to the previous version safely. InMotion also made a special plan for WordPress users. So, if you love to use WordPress like us then choosing the WordPress hosting is great which include pre-installed WordPress. Moreover, it is available at the same price as the shared hosting. The company is very confident about their service quality, and that’s why they provide 90 days money back guarantee. It feels like a total risk-free investment.​ Surely their services are considerable, so buy a hosting plan and get one free domain. ​Looking for some cheap WordPress hosting and domain registrar with low introductory prices; here is the 1and1, the great domain registrar with hosting solutions. There are tons of domain extensions available, and you can even select as per your niche or business such as .restaurant. They offer free domain extensions like “.info” and “.website” etc. And if you need “.com” domain then they charge just $0.99 for the first year. The company offers multiple features along with the .com domain including 1 free email account, WhoIs add-on, and domain lock, etc. ​The company claims to offer 24/7 support services. But there is no support channel other than the phone call. Yes, the phone call is a quick way to interact. But the people who may not be good in English speaking or outside the US may find it difficult for assistance. So keep in mind before signing up their services. 1and1 also maintained tons of helpful articles related to web hosting, domain name, SSL and email services, etc. All the articles are well explained by using the images. ​Starting from 2002, HostGator not takes too much time and quickly made its name as one of the best web hosting providers. Now they are hosting more than 8000k domains. Registering a domain with HostGator is very simple. Instead of bombarding the upsell offers the procedure is very simple, and the customer knows what he is going to buy. You will get your own domain within $13. They also support domain lock to prevent any unauthorized transfer. The domain privacy is available at the relatively low price as compared to many other companies. HostGator offer 45 days refund policy. It’s a long period and enough to test the services. Moreover, it’s also above the industry prevailing period. Besides the shared hosting, there are also other types of hosting at relatively low prices like Cloud, VPS and dedicated, etc. Furthermore, to secure the site you need to backup the data, so company provides CodeGuard services which cost $1.67/month. Overall they are offering valuable hosting with 99.9% uptime guarantee, 45 days refund policy, 1-cick installer, tons website templates. Isn’t it perfect for just $3.95/month? ​Register.com is one of the oldest web services provider and best domain registrar as well. They are in the industry since 1994. Now about 2 million domains under their management and hundreds of thousands of satisfied customers using it. That’s why we termed them as one of the best domain name registrars. The company offers almost 50 different products including domain, hosting, Email Marketing and SSL, etc. etc. The checkout process is so simple just enter your desired website name and click add to cart then fill the payment details. And it’s done. Now they will instantly ready your domain name. It’s supper easy. ​Currently the .com, and .net extensions are available merely at $0.50. Pretty cheap huh! But you will be shocked to see that they charge $35 in the very next year for domain renewal. So, if you need a domain for 1-year, then register.com is awesome. 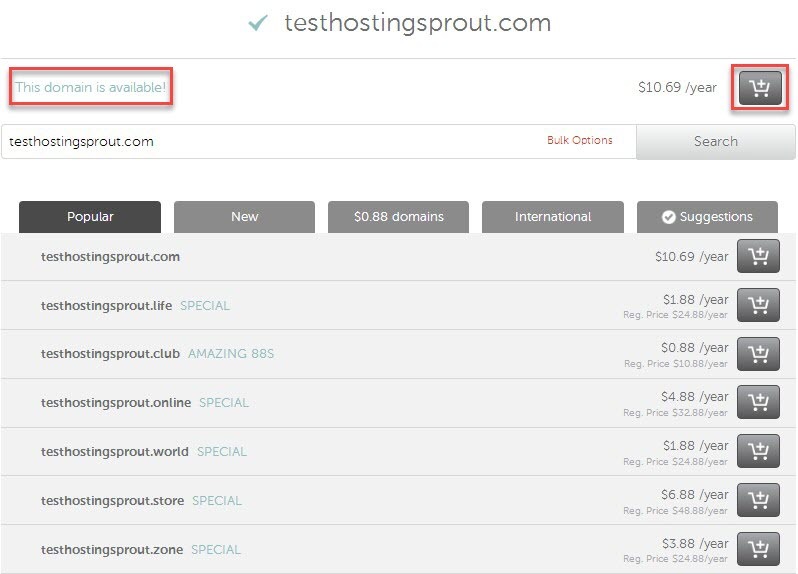 Another trick that you may use is to buy the domain and when it is going to expire then transfer it to other cheap domain registrar such as NameCheap. In this way, you can grab their promotional discount and also can save yourself from high renewals. You can also turn on WHOIS protection for just $10. Now if due to some reason you can’t renew your domain, they will secure it for 1 year. In addition to, if you want some premium name then you can browse it by category and add a keyword under the premium domains section. DreamHost is not only offering the best WordPress hosting﻿﻿﻿ solution but also known as the best domain registrar. The website name comes in just $13.95 and the same renewal rate. Buying domain from DreamHost also includes free Domain privacy to protect you from malicious acts. You can create numerous subdomains. DreamHost offers Shared, Managed WordPress, Dedicated and VPS hosting and claiming to host nearly 1.5 million website and blogs under management. There are providing shared hosting at $7.95 with the 1-click installer which enable you to install the scripts fluently. They are bit expensive for starters but you can host unlimited sites, storage and bandwidth. The hosting plans support let’s encrypt and by a click you can activate the SSL/TLS certificate which may help in search engine ranking. The data stored on the SSD drives which decrease the page load time and improves the overall site performance. Hosting plans also include easy CloudFlare integration with automated malware scanning. The unique things that they offer are the money back guarantee. You may hear about 15 days and 30 days money back guarantee. But DreamHost comes with 97 days trail period. That’s a pretty huge period. The company currently have in-house customer support team and providing a customized control panel for the management of hosting features. You can contact them via the primary channels (emails, phone and live chat etc) and also through the Twitter. ​This ICANN-accredited company starts working since 2003. The Name.com maintain a large catalog of products. They offer web hosting, email, domains , SSL, site builder tool and much more digital products. They may not be the low-cost provider, but here in this list, our aim is to describe the best domain registrars. But they are not too much expensive you can purchase the name in just $12.99. Not only this if the domain related to your keywords is not available then you may check their expired domain data. As the SSL is crucial especially for the e-commerce websites which is a security protocol to protect the customer’s information. You can easily enable it by few clicks and it will cost $8.49/year. To protect your personal info you may need WhoisGuard which will cost $4.99. So by spending merely few dollars, they provide you the secure way to go online. The process is pretty straightforward and clean just search the name, add to cart and fill the payment details that’s it. Let’s take a little overview of their hosting services. The hosting plan comes with free SSL certificate and 100GB bandwidth. Allow you to create 10 MySQL databases and store 10GB data on their servers for $4.99/mo. when you subscribe at least for one year. Furthermore, you can establish unlimited FTP accounts. If you are solely looking for a domain name then we recommend NameCheap because their prices are much lower than the others and also they includes various useful freebies. So let’s do this. You have a name in mind and want to purchase but what if it is not available? So never depends on a single name. Here keep in mind the following suggestions. Niche/Topic: What is your niche (topic)? Then think about the about words related to your topic. For example, if your topic is related to food then including cooking, snake etc. is good. A topic For instance, what you think about foodgeek.com and receipeshub.com? A relevant domain name is a first good impression for visitors. If you don’t have any idea, then you can use name generator like Shopify and BusinessNameGenerator. Expanding Options: We suggest you select a name that covers a field. For example, if you buy a domain recipehub.com and in the future it also can be used to share any type of recipe. Memorable: Try to pick a name which is easy to write. Moreover, memorable name is also very necessary. Don’t use the wrong spells like garmnts for garments because it's difficult to tell someone. Numbers: May confuse users and also make it looks ugly. Just imagine name-012.com. It’s difficult. Short: The domain name with a length of 3 to 4 words are almost gone. So, what now? You just try to select as short as the possible name. Name with almost 10 to 12 characters is great as far as it’s easy to speak and write. Extension: There are many extensions available like .com, .org, .info. We suggest you select a .com as it is the most used extension. Moreover, if you want to target the audience of a particular country like England then using .uk would be great because it will also some search engines ranking benefit. Tip: Try to avoid checking the online availability of domain names when you don’t want to register at that time. Because there are rare cases when a company purchases the name, then sell it to you. That’s why we select the best-reputed companies, but still, we want you to be active in this prospect. By keeping the above guidelines in mind, you can come up with a great domain name. You can select any domain registrar from the list as we prefer NameCheap to help you get familiar with purchasing domain procedure. If you’re going to choose different company then don’t worry because almost all the domain registrar has similar process. ​After that, they will show you if the domain is available or not. Moreover, they also show tons of other domain names suggestions with various extensions. Now click on the Add cart icon. Look at the below picture for visual assistance. At the same time, you can see the expense table on the right side of the screen. Just click on the "View Cart" button. Here you don’t necessarily need anything else. Next, you will see the duration for which you want to purchase the domain name. Duration is the period after which your domain name will expire. It’s all upto your budget and if you can afford, then buy for a longer period. For example, we subscribe for 3-years. The larger duration can save some penny. Auto Renewal option also given by the company to automatically renew your domain. Here note that you need to keep the amount in connected bank account for successful renewal; otherwise they send you various alerts. We also enable WhoisGuard which is given free for the 1st year and in the next they charge very little amount. And if you want to renew it after 1-year then again auto renewal option is also given. After selecting the duration and other options click on the “Confirm Order". Now they ask you to create an account. It’s so easy just fill the required fields, and that’s it. The account will helps to keep an eye on the various factors like domains list and expiring domain, etc. After creating the account, a contact information page will come in front of you asking to fill the details like Address, City, Province, Zip code and Phone number etc. After filling the details click on “Continue”. In the next pages, they will show various information’s. There is nothing special just look over it and then continue. The next is to select the payment method. NameCheap offers 3-ways for making the payment of purchases. Choose the payment method and then hit “Continue” button. ​After that, you will see a little box on the right side. Click the “Paypal” button and there you go. 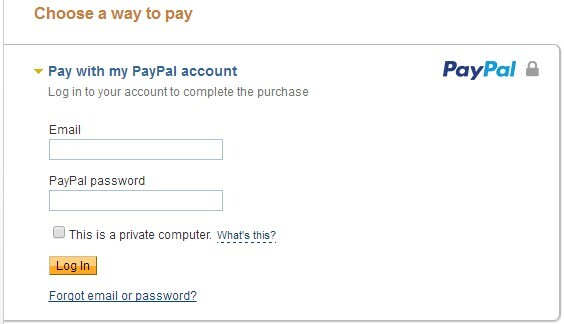 It will redirect to your PayPal page where you just need to put the login details, and that’s it. They will take few seconds to process the order. And it’s done the domain name is yours. Namecheap also offers live chat during the singing up. So in case of any inconvenience feel free to talk with them. They are pretty fast. When you sign up for the domain while purchasing web hosting from NameCheap then you don’t need to link domain and hosting because the company will automatically do it for you. But when you buy a domain and hosting from the different company in order to avoid high renewal rates. ​When you signup for the domain while purchasing web hosting then you don’t need to link the domain and hosting because the company will automatically do it for you. But when you buy a domain and hosting from the different companies in order to avoid the high renewal rates then you need to link them this is called domain pointing. It’s much easier than your thinking. When you purchase a domain, then the company gives you a control panel for the domain management. If you don’t know where the control panel is, then you must check your emails sent by the domain registrar. Or just head over to your domain registrar site and sing in. When you login to the domain control panel then enters into the Domain/ Domain list tab. Now scroll down till you find the “Name Server” section. Then click on the drop-down arrow and select “Custom”. Now you have to put the “Name Server 1” and “Name Server 2”. For getting the “Name Server 1 and 2” again check your email account. But at this time open the email sent by the hosting company. But if you did not find the Name server’s there, then login to your hosting control panel or contact the hosting company. · When you login to the hosting control panel/ Account Management Panel then find the “Account Information” which is mostly given at the sidebar. ​Please use name server as given by your hosting provider. Now copy the Name servers and paste them into the “Name Server” section which is shown in the above image. After that save the changes. Now it will take 4 to 48 hours to completely propagate your web hosting and domain name. We think now it's clear that how to buy the domain and then connect it with the web hosting. Still if something unclear to you feel free to contact with us. Conclusion - So, What's the Best Domain Registrar? So, this is the list of best domain name registrars but what are our personal recommendations? In our opinion, if you only need a domain then NameCheap is a great domain registrar because they offer domains at cheap prices and the renewal price is also reasonable. The Renewal of SSL and WhoisGuard are also very low-cost. But if you are looking for web hosting including a domain name then go for BlueHost as it's also backed by WordPress.org. They are affordable, quality WordPress hosting provider and you get a FREE domain name. ​So these are our suggestion now it's your turn to select as per your budget and requirements. And if you already tried anyone then feel free to share which one is the best domain registrar. very intuitive post. Love it.thanks. just wanna ask this. is it safe to buy domain name at register.com for very cheap and immediately transfer to namecheap in preparation for following year renewal? how cheap would it be also? Well, you can do that – transferring your domain name before 1 month of expiry would be great to save money. I would say that Namecheap is the best registrar.